SEOUL, South Korea — Less than one week after North Korea appeared to carry out its sixth nuclear test, South Korea warned Thursday that its neighbor may fire an intercontinental ballistic missile this weekend. 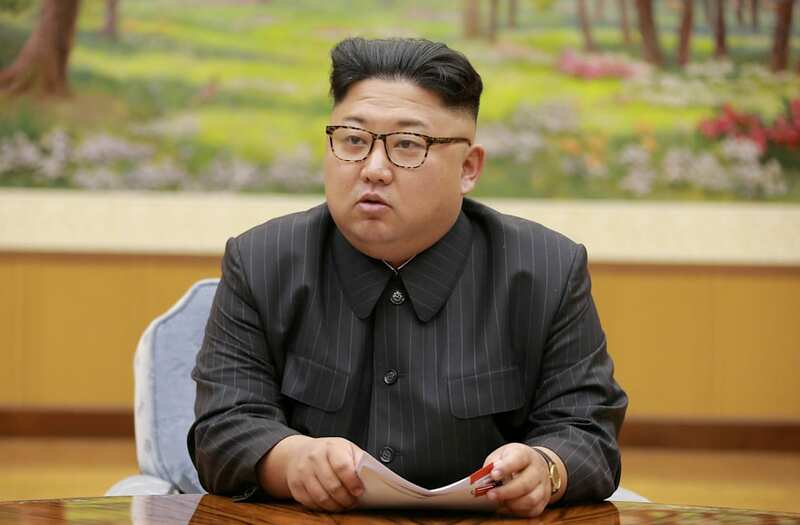 South Korean Prime Minister Lee Nak-yon suggested that Kim Jong Un could order a launch on Saturday, which is the 64th anniversary of the totalitarian regime's founding. "There is speculation that there could be an additional provocation of firing an ICBM at a normal angle on [Sept.] 9," Lee said. If this proves true, Lee's reference to the "normal angle" could dictate what happens next. During North Korea's first successful ICBM test in May, it fired the rocket at a "lofted" angle, which meant it traveled to an immense altitude but descended a relatively short distance away. When it tested its second ICBM last month, however, it launched the missile in a way much more consistent with an actual attack, lower and further so it flew over Japan. This type of "normal" trajectory could take a missile close to the U.S. Pacific territory of Guam. There was no suggestion that Guam was the target for Saturday's speculated launch, but North Korea has threatened to test-fire missiles toward the island before and such a move would be seen as a serious escalation. "It is time to step up sanctions and secure sufficient military means to deter them in order to stop North Korea's nuclear armament," Lee said. "We ultimately need talks with North Korea, but it is not the time right now to speak of a dialogue with North Korea." Most experts agree the regime isn't likely to attempt an unprovoked attack. Rather, North Korea says it wants a nuclear weapon capable of hitting the U.S. as a deterrent against attack. Tensions have risen between the isolated, secretive dictatorship and the outside world since its sixth nuclear test Sunday and a flurry of outspoken statements between Kim and President Donald Trump. On Thursday, China, which is North Korea's main trading partner, said it agreed United Nations Security Council should take further actions against its neighbor while continuing to push for more dialogue, according to Reuters. And Japanese Prime Minister Shinzo Abe and South Korean President Moon Jae-in spoke at a regional meeting in the eastern Russian city of Vladivostok and agreed to try to persuade China and Russia to cut off oil to North Korea as much as possible, South Korean officials told the news agency. Meanwhile, the four remaining launchers of a U.S. missile defense system were deployed in the South Korea. China is unhappy about the deployment of the Terminal High Altitude Area Defense, or THAAD, because it believes the system's radar could look deep into its territory. Many South Koreans who live in the small farming community where it is being deployed are also angry. The residents of Soseong-ri, a melon-farming village, say their lives have been disrupted by the military trucks, buses and helicopters that have been traveling through the area, according to The Associated Press. On Thursday, some 8,000 riot police gathered there to remove around 300 protesters who created a blockade near the former golf course where the system is being deployed. At least 38 people were injured, local officials told the AP.